When are rent payments processed and how long do they take? Cubbi has partnered with online payment platform, Assembly Payments, to manage our rent direct debit payments. When are direct debits processed? Rent payments are initiated by our system at 2am on the due date. This means Cubbi sends a message to Assembly to direct them to take this payment. Assembly processes payments on business days only. This means their system only actions messages to take payments Monday - Friday, public holidays excluded. 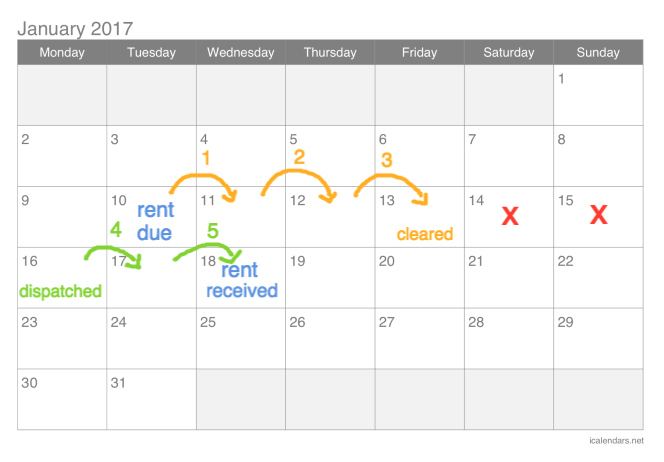 What happens if my tenant's rent is due on a Saturday or Sunday? If your tenant's rent is due on the weekend, this direct debit will not begin processing until the following business day (Monday, unless its a public holiday). What do the payment statuses mean on my dashboard? Payment initiated - Cubbi has sent the 'order' to the tenants bank for the direct debit. Payment awaiting clearance - this is the bank processing period. The bank takes up to 3 business days to mark a payment as cleared or failed. 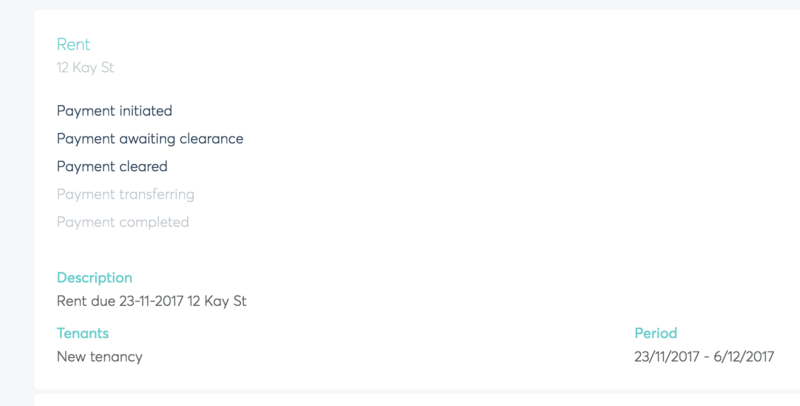 Payment cleared - the bank has marked the payment as cleared and it has arrived at our payment platform. Payment transferring - Our partner payment platform have dispatched the payment to you. This takes the usual bank transfer time of 1-2 days to arrive. Payment completed - Once the funds should have reached your account, the payment is marked as completed. How long does the rent take to reach my account? There are two phases to the direct debit process. Bank processing - it takes 3 business days for banks, Australia-wide, to mark a direct debit payment as successful or not. Once a payment has cleared, it is marked for dispatch by Assembly and will reach your account in 24-48 hours as per a regular bank transfer. In total, a payment will take 5 business days to reach your account from the time Assembly begins processing. Please note: processing occurs overnight. Katie's rent is due weekly on Tuesdays. The next rent is due on Tuesday, 10th January. The payment will arrive in your account 5 business days later on Wednesday 18th, January.